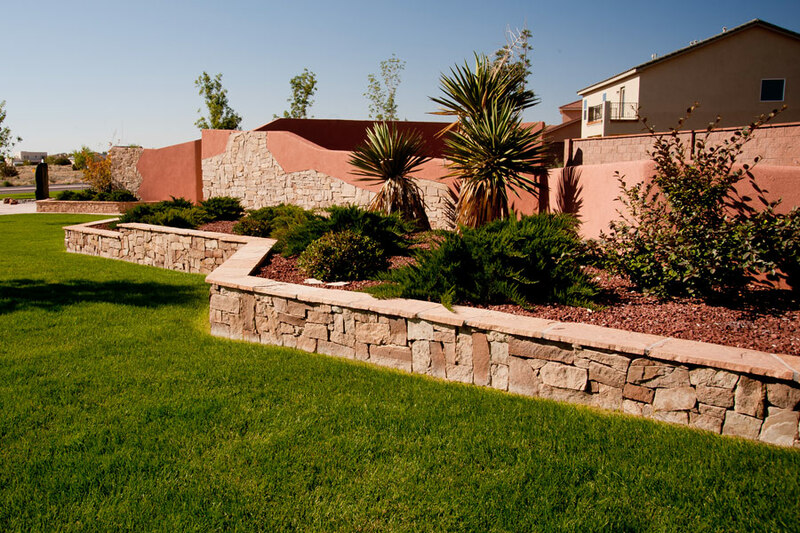 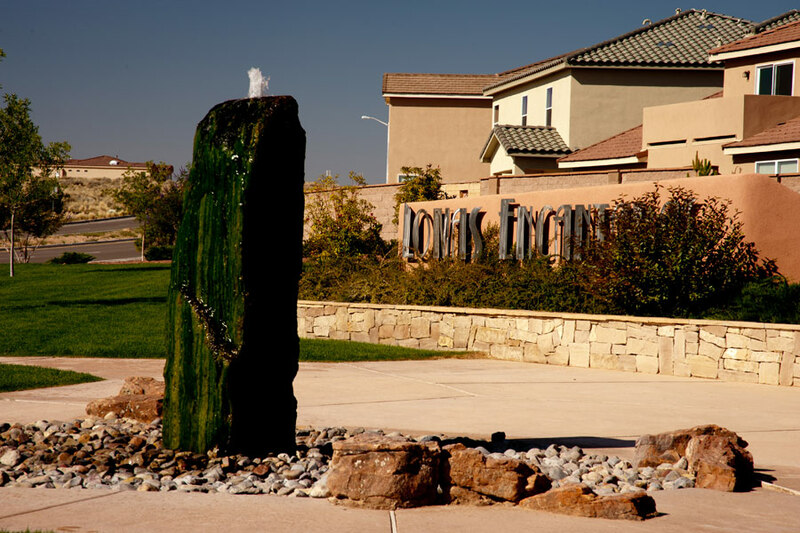 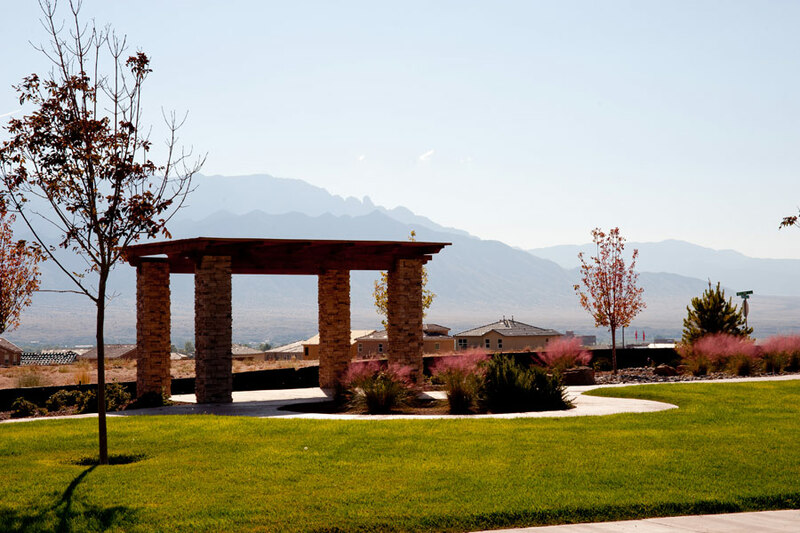 This mixed use planned community offers impressive entry features, community walking gathering points, and a contemporary landscape design softened by the use of sod turf and water features. 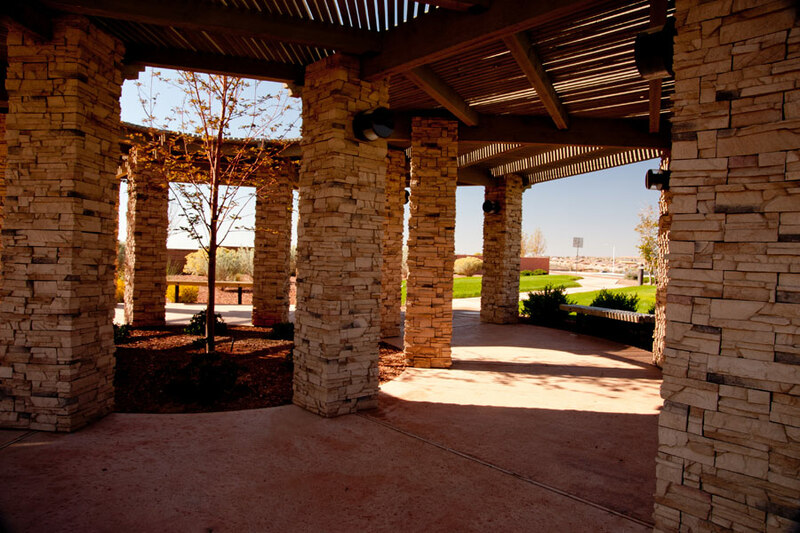 Landscaping, site features, pocket parks, streetscape, water features and signage all design-built by The Hilltop. 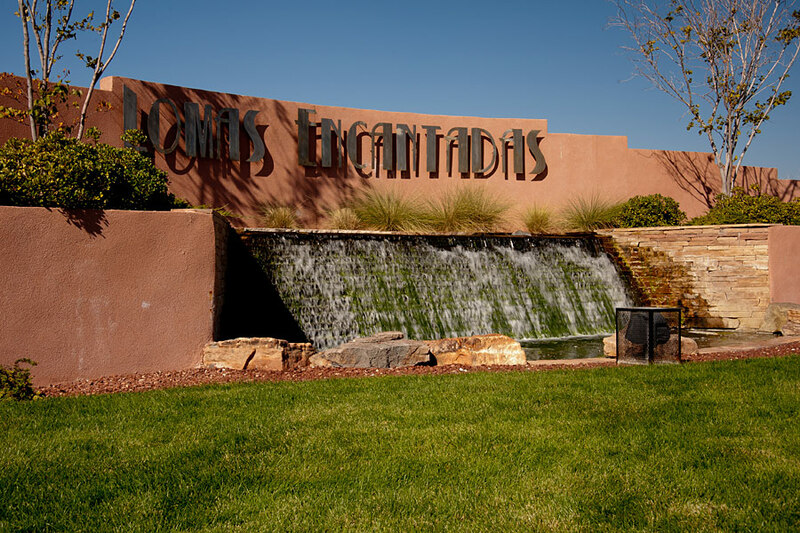 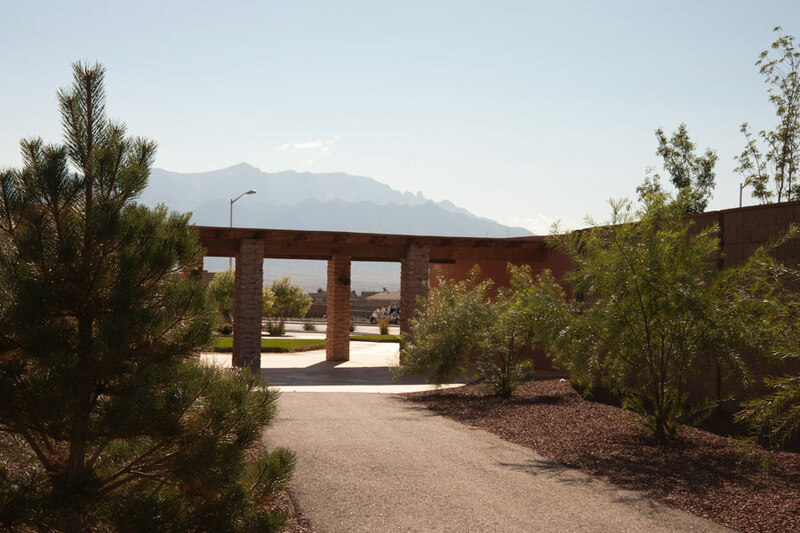 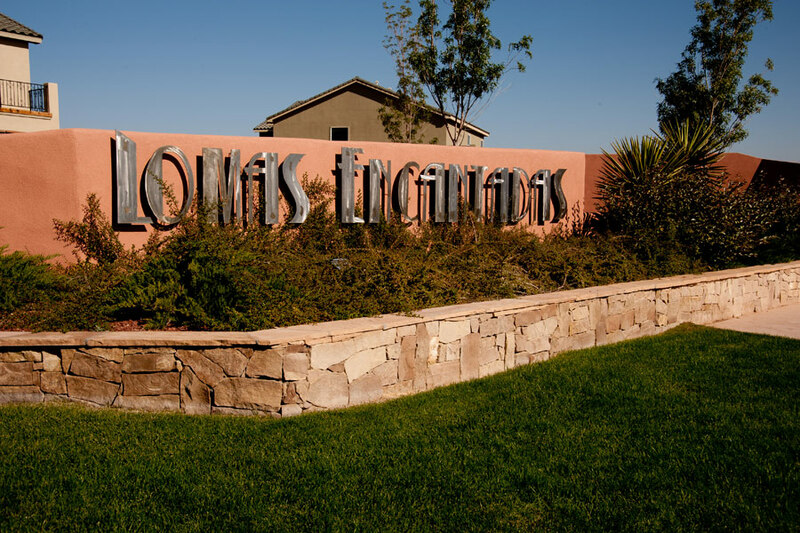 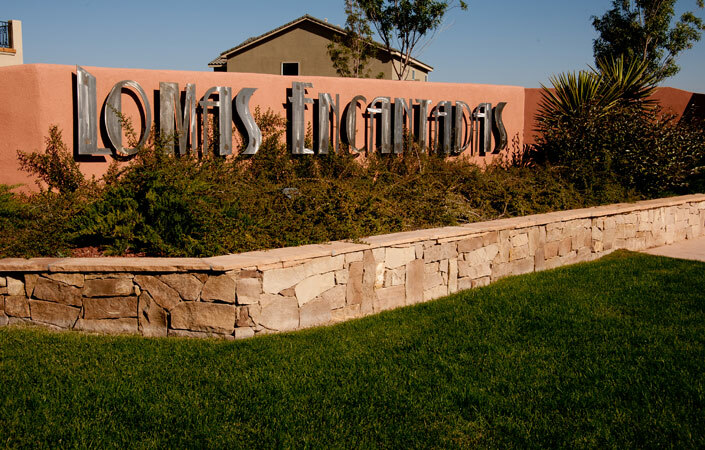 Today, only two of the possible nine units have been constructed, but Lomas Encantadans can look forward to more neighbors and more landscaping, including City parks, pocket parks, commercial tracts, and nature preserves.